Our windows cleaning services are of exceptional value to all our customers in ALL London areas. 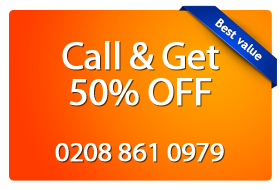 Call us now on 0208 861 0979! We provide windows cleaning services, at very competitive rates. Our staff are highly skilled and have been fully trained to give Londoners the best service available on the market today. For further information on our windows cleaning services, please have a read below. We provide professional, quality commercial windows cleaning services in London. We can cover any type of commercial asset, such as: shops, hotels, industrial units, schools and many, many others. There is no limit in terms of size and commercial job difficulty, for our cleaners. We also provide method statements and full risk assessment for each of our commercial services. Many residential Londoners now use our windows cleaning services on a regular basis. For us, this is the normal result of our windows cleaners’ teams doing their job properly. Moreover, we provide both residential and conservatory windows cleaning. And, to top it up, our staff is fully qualified and trained — so there won’t be any streaks nor broken windows at your residential London property. Our cleaners never break windows nor leave streaks on them. Fully trained and insured employees. We can tackle any type of asset, from regular windows to conservatories and solar panels. We save you time, money and we adhere to health and safety regulations, so you are safe. Our teams of windows cleaners cover all areas of London. We have regular clients and, as such, we get constant positive feedback from them. It is virtually impossible to store all of our windows cleaning reviews here, so please have a look at our reviews and testimonials page for proof of the service level we provide. Get excellent windows cleaning London services now by calling us for a free quote on 0208 861 0979!